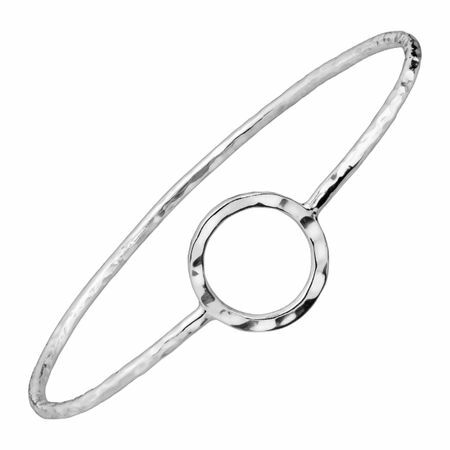 Accent your beloved Karma Ring with this coordinating bangle! What goes around comes around in the Karma Bangle, featuring a hammered sterling silver band with a open, circular sterling silver section atop the band. Bracelet measures 8 inches in length and features an easy slip-on design. Piece comes with a ".925" sterling silver stamp as a symbol of guaranteed product quality.